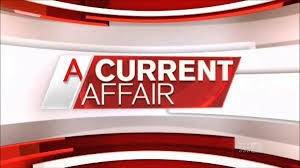 current affairsjanuary 3rd week 2015, current affairs 2015, september 2nd week current affairs questions, january 3rd week current affairs news, english current affairs january 3rd week 2015, january 3rd week 2015 india current affairs, manabadijanuary 3rdweek current affairs. In Pakistan, a special campaign has been launched to eliminate polio from the most affected Federally Administered Tribal Areas -FATA. According to official data so far fourteen thousand children below the age of five have been vaccinated in FR Bannu. Children of Temporarily Displaced People of North Waziristan were also administered injections and anti-polio drops during the campaign. Opposition challenger Kolinda Grabar-Kitarovic has become the first female president of Croatia, winning by the narrowest of margins.She secured 50.5% of the vote with 99% of ballots counted, while incumbent Ivo Josipovic was close behind on 49.5%. The election was seen as a key test for the main parties ahead of parliamentary elections expected to be held towards the end of 2015.The gap between the two candidates remained at about one percentage point throughout much of the second round.Turnout was 58.9% - some 12% more than in the first round held two weeks ago, which was equally close. Ms Grabar-Kitarovic is a politically conservative member of the Croatian Democratic Union (HDZ), which pushed the country towards independence from the former Yugoslavia in 1991.The 46-year-old, is a former foreign minister and assistant to the Nato secretary general. Former Thailand Prime Minister Yingluck Shinawatra has been facing impeachment proceedings for alleged abuse of power. Yingluck`s government was removed from office in a coup last May. The proceedings in the military-backed legislature, is seen as a move to keep her powerful family out of politics. The former Prime Minister is under scanner over the controversial programme, which, though popular, cost billions of dollars and triggered protests that toppled her government. The National Assembly began impeachment proceedings on 9th January. A decision on the impeachment could come at the end of the month. Yingluck, who showed up at parliament amid tight security, defended her rule saying she ran the government with honesty and as per the law. Yingluck defended the rice scheme saying it aimed to address the livelihood of rice farmers, their debts and falling rice prices. She also questioned the impeachment. The rice scheme, which paid farmers up to 50 per cent above market rates for their crop, helped bring Yingluck to power in a landslide election in 2011 due to support from farmers mostly in the north and north-east of the country. However, the scheme became financially unsustainable, leaving hundreds of thousands of farmers unpaid and an estimated 19.2 million tones of unsold rice in state warehouses. The impeachment hands the ruling junta its first big test of 2015 given Yingluck`s popularity among millions who elected her in a 2011 landslide. After the hearings, the NLA will set up a nine-member panel to ask Yingluck questions raised by assembly members. The closing statements will be made on January 21 and the NLA, hand-picked by the junta and dominated by active and retired military officers, will hold a meeting to vote in the next three days. Yingluck`s brother, Thaksin Shinawatra, was also ousted by the army in a 2006 coup. She also faces charges of dereliction of duty in supervising the programme. If impeached, Yingluck could be banned from politics for five years. The United States has added to its official terrorism list the leader of the Pakistani Taliban, which involved for last month`s assault on a Pakistani school that killed 150 people, including 134 children. The State Department named MaulanaFazlullah, also known as Mullah Fazlullah, a specially designated global terrorist, a label meant to target terrorists and those providing support to terrorists or acts of terrorism. The designation makes it a crime for US citizens to engage in transactions with Fazlullah. It also allows the US government to seize any of his property or interests that are in the United States, including those under the control of US citizens. The United States designated the Pakistani Taliban a terrorist group in 2010.The State Department said that before becoming the leader of the Pakistani Taliban, Fazlullah claimed to be behind the killing of Pakistani Army General SanaullahNiazi in 2013, and that he ordered the 2012 assassination attempt on Pakistani schoolgirl and activist MalalaYousafzai. Islamabad High Court on 13th January resumed an in-camera hearing in the Mumbai attack mastermind Zakiur Rehman Lakhvi`s detention case. Pakistan government submitted evidence against him. The High Court had agreed for an in-camera hearing of the case after the appeal of Pak government yesterday in Islamabad High Court that the government had strong evidence against Lakhvi which could not be shared in open proceedings. The Islamabad High Court has taken up the case on the direction of the Pak Supreme Court which earlier had set aside its decision to suspend the government`s order to detain Lakhvi. Supreme Court bench had referred the case back to the High Court for a complete hearing before giving a final decision. Beleaguered former president Mahinda Rajapaksa has agreed to hand over Sri Lanka Freedom Party (SLFP)’s reins to the country’s new leader Maithripala Sirisena, bowing to the demand of party members after his shock election defeat. Sirisena was the general secretary of the SLFP but was expelled from the party by Rajapaksa ahead of polls as he broke away from the then ruling alliance in November to become the challenger in the polls. Sirisena went on to topple Rajapaksa and end his decade-long rule in the January 8 polls. In another related development, Basil Rajapaksa, the brother of Mahinda, resigned from his post of National Organizer of SLFP. Basil accepted full responsibility for his brother’s defeat in the presidential elections, a statement said. He led the then ruling coalition UPFA’s election campaign in the run-up to the polls. Basil left Colombo immediately after his brother lost the election. He is currently believed to be in the US on a private visit.